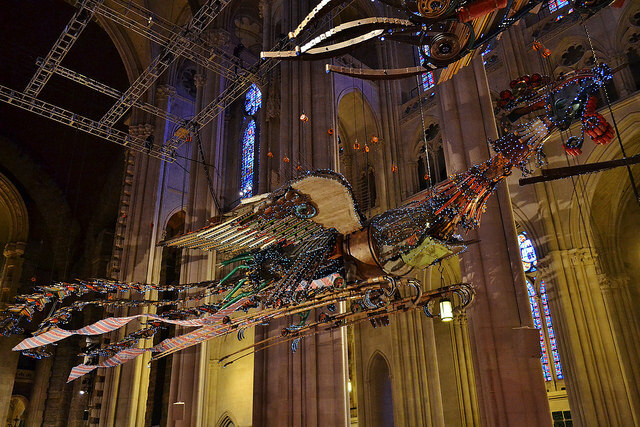 When Xu Bing arrives in town, it is riding his two giant phoenixes. 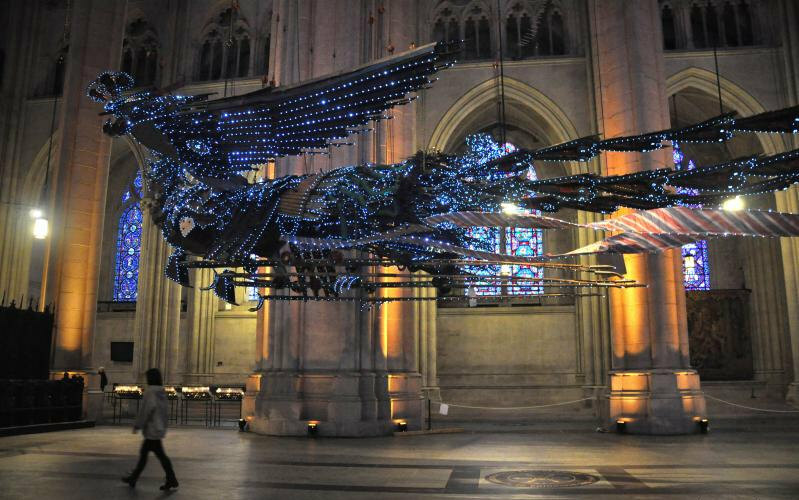 His magnificent birds/dragons eventually settled at St John the Divine Cathedral. This installation, unfortunately already over, was quite fantastic. The film explaining the whole process was great, detailing the roots of the concept, the means employed to build the sculptures but also to move them, the politic and financial hurdles along the way, the cultural ideas behind the project. The two sculptures are made of scrap materials collected on the construction site of the building it was commissioned for. A beautiful art piece! Learn more about XU Bing on his official website.